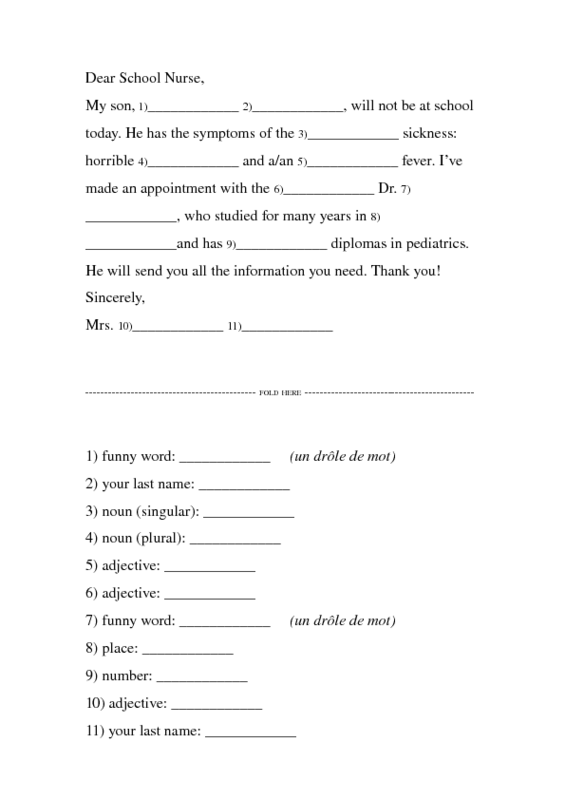 A simpler, shorter Mad Lib (which is a funny, often ridiculous story created when you fill in the blanks with the part of speech that is requested). 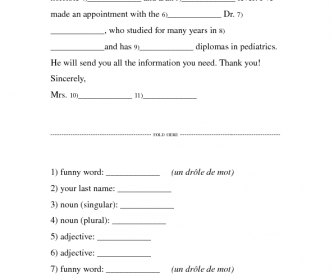 Mad Libs are an easy and fun way to teach the parts of speech and grammar. This one is about a note to the school nurse, which could be used to follow a health or medical theme. The first worksheet is for the boys and the second worksheet is for the girls. Each student receives a copy, folds it in half, asks his/her partner (or rotates each worksheet around the class) for a certain part of speech, fills it in, and then reads the completed story. Remind the students that the more creative they are with their words, the more funny it is!